A list that's taped onto my messy visual corkboard. Slowly tackling the boxes one by one and excited when I get to check off each box! 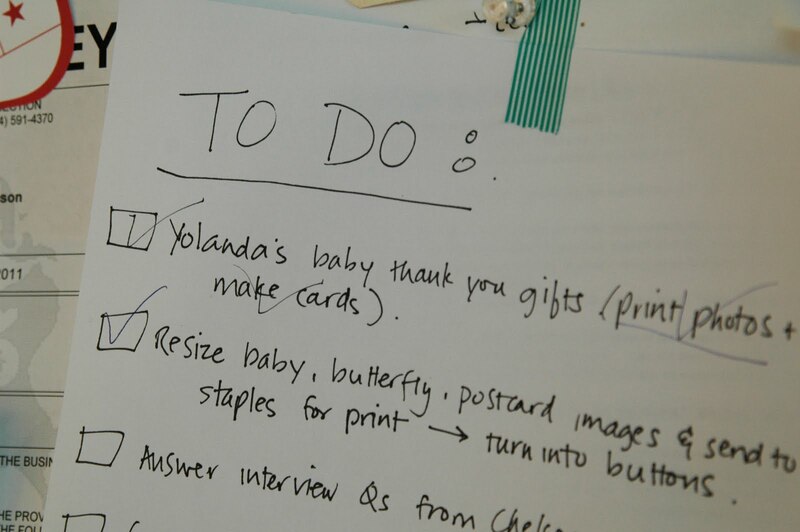 Do you make to do lists too or just mental notes in your head of stuff that needs to be done? I still don't trust my dumbmum brain 100% so best that I've got a list going. The yoga's helping but not completely just yet. I always make lists! 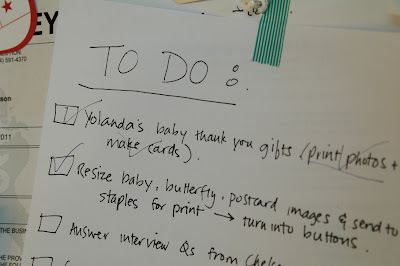 however, I don't always complete everything on my lists =) They help me none the less! I always have to make a list. I stopped for a while and my life/schedules went to pot so I'm back to making lists. I do love looking back and seeing what I've accomplished tho. I love lists. :) I write them for everything. 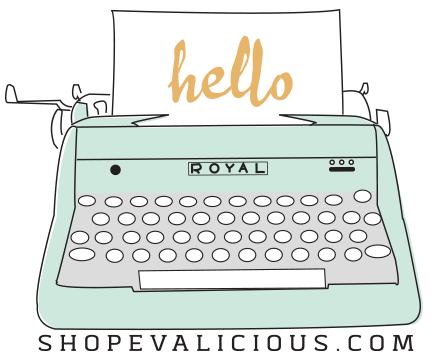 Long-term goals, daily "To do", ideas for my blog or just shopping. It motivates me to get going and rewards me when I can tick something off. I have a little notebook for them that I lovingly call "My Brain". It goes everywhere with me. I'm a total list writer. 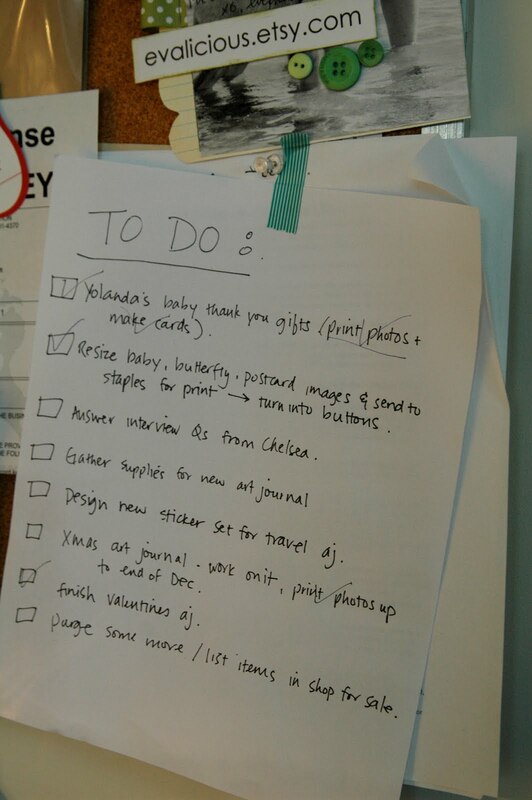 Usually don't accomplish everything that I set out to do, but hey, I just move the unaccomplished items to the top of my list the next day and voila! Saturday's usually the day where everything that wasn't finished throughout the week gets piled up. I do so love the feeling of accomplishment when I get to cross something off, though, so it's worth it to me!